So, a new semester starts, and you come to the lecture to a new professor. Okay, if this teacher just conducts lectures in a slightly unusual pace and volume. However, the bigger problem is simply "pressing" volumes of the homework that they ask. What to do in this situation? As we have already written many times: careful preparation is the way to success. 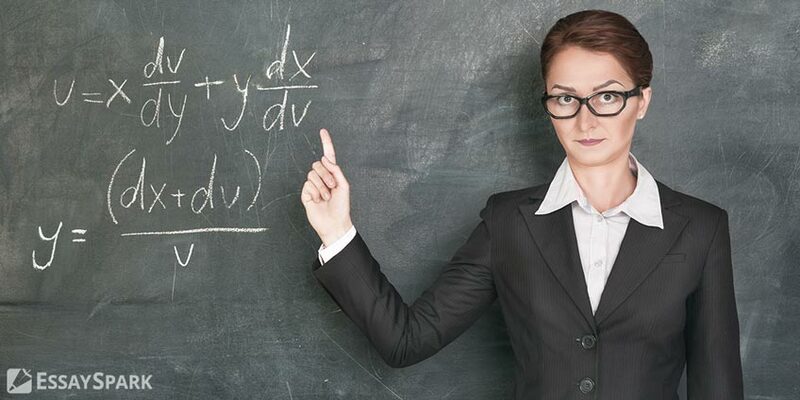 Before you come to the lecture for a new professor, ask the undergraduates or someone else what this teacher is. What are his or her achievements in professional work? What are some of the favorite topics in the subject that he or she teaches? There is one of the secrets of approach to any professor here. It consists of the following: there is certainly a list of names, photos and other useful information on the composition of the teaching staff on the official website of your higher education institution. You can get there the most important information about the new professors – on what specialty they studied when they were the students. Another source of useful information are the professors themselves. Often, they talk about their student life, about their victories (rarely who tells about defeats, which is quite natural). If such a moment comes and the teachers begin to tell their life stories instead of lectures, then carefully listen to them and write down those facts that you might need. We received the information, now it is up to us to apply it in practice. The main secret of approach to any professor is to use the information received about his or her life in your works. Let us call it the "boomerang effect". Why do this, you ask? The example. The professors check the homework and say: "Well, lazy people, there is no one normal assignment completed on this course." And suddenly their eyes come across your work. They begin to read it and suddenly look away and think. Then they say to themselves: "Mmm, an interesting student, I really like his/her point of view...". Do you understand the whole point? The professors are reading their own thoughts in your homework without noticing it. That is why it is so important to know about people more than they know about themselves. You need to put yourself in their shoes in order to understand how they think, why they behave this way, and not otherwise, etc. How to Reduce the Volume of a Homework? Here psychology comes to your aid again. After the professors check the first homework and tell the results, you can safely approach them and ask something in kind: "What are the shortcomings in my work?". Since you are the one who shares the professors' point of view, they will gladly answer you and point out the alleged shortcomings in your work. In fact, it will be very pleasant for them to talk with their "associate". Therefore, be ready to accept all their statements and objections. After all, in fact, this is all a fiction – just a cause to keep up the conversation. After you discuss all the details of your work, you should talk about your suggestions for improving this work. And then you can already start to dictate your conditions, only in a veiled form. So, say something like this: "This work could be improved, but it would take more time". Since you are an "associate" of the teacher, he or she will reflect on this and ultimately will be confident that this is purely his or her decision. Manipulation on other people's actions – one of the higher arts, which is mastered by a human. At the heart of this art are the interests and needs of your interlocutor. If you can find out any information concerning the life of your "contradictor", then we can say – it is all in the bag. Many secrets of the world have long been known, it remains only to master them.